I want to know. Are the poor decisions kids make out of innocent thinking or sheer ignorance? 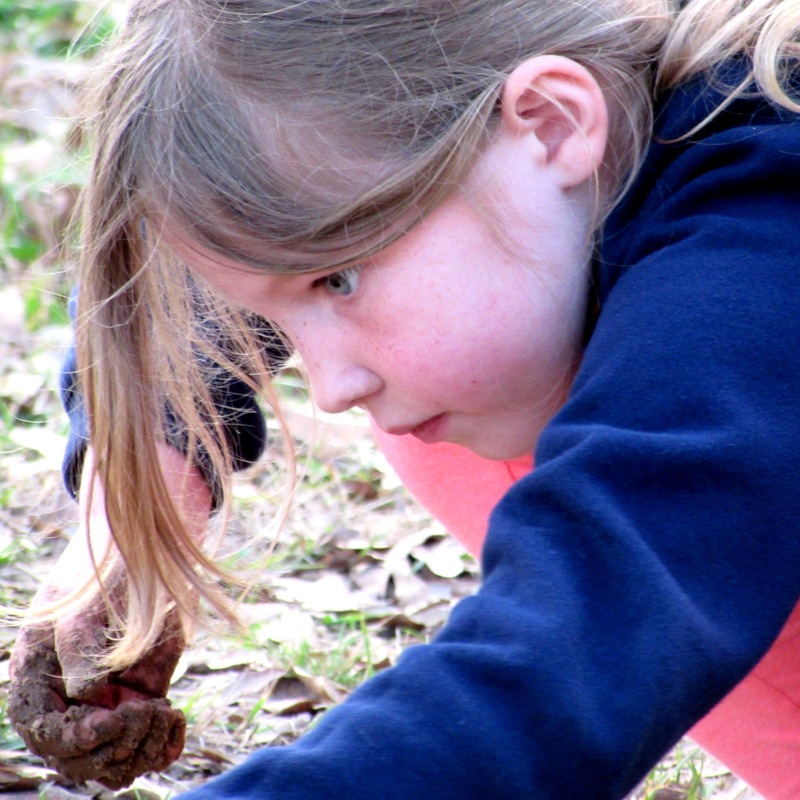 Take for example my sweet Addie, lover of chickens, worms, snails, slugs, tadpoles, horses, the color pink, Third Day Christmas songs, mud and stuffed animals. All-in-all what you would call a smart, cute, well-rounded child. Plays the piano, reads aloud well, signs her name in cursive (most of the time), paints…..charming really. 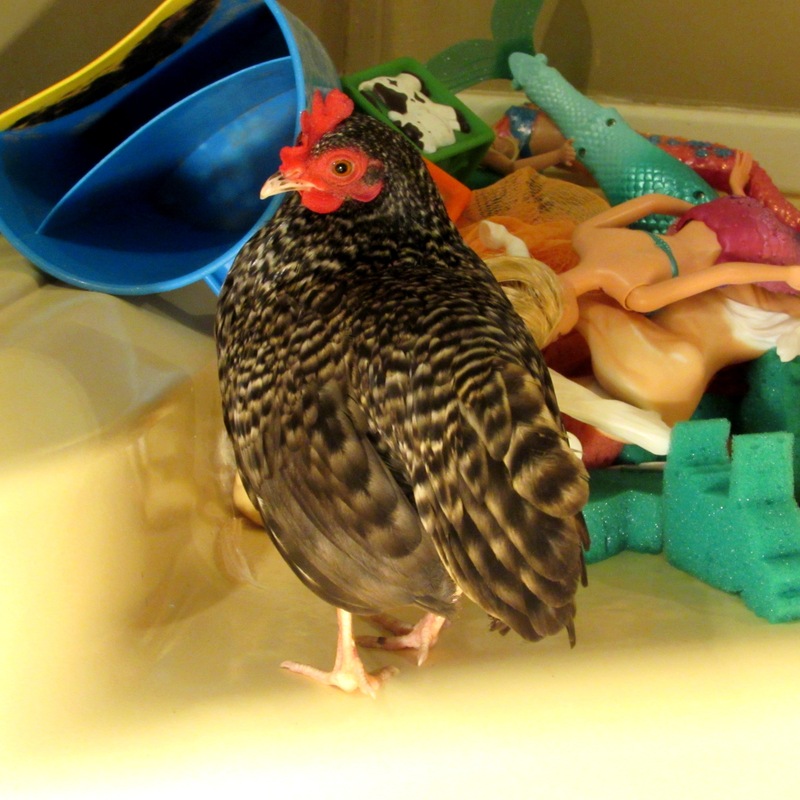 I go to water the chickens and I notice my precious pet chicken, Stripe-Stripe, is soaking wet, shivering and cold as ice. Immobile. I ask Addie “Do you know what happened to Stripe-Stripe? !” as I rush to her. Denial in her words but guilt in her eyes. So I ask again “DO YOU KNOW WHAT HAPPENED TO STRIPE-STRIPE? !” Tears. 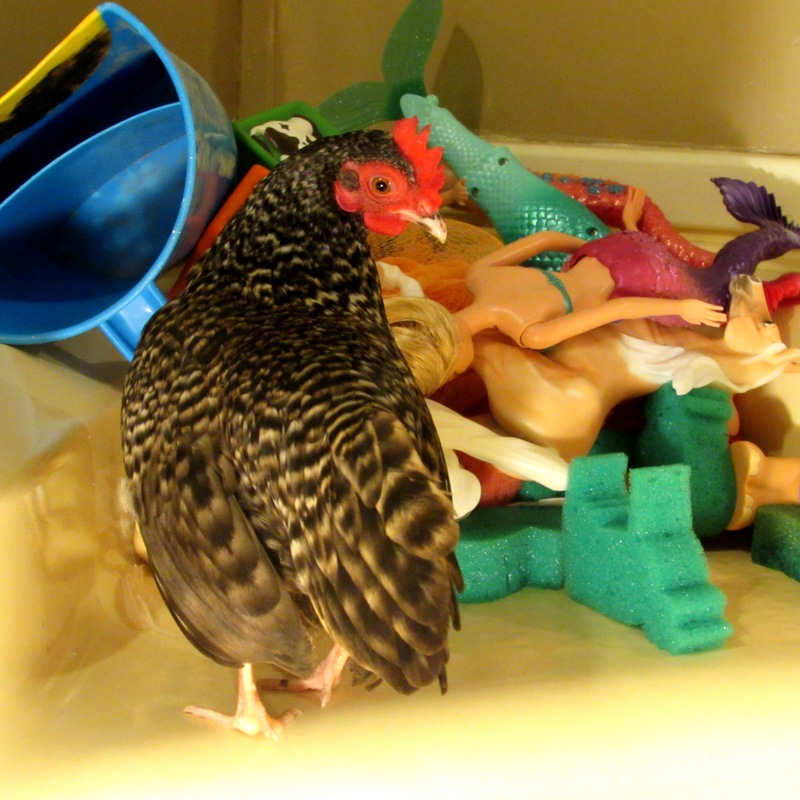 Confession “I put her in the water” she bawls, as I scoop up my precious, wheezing, coughing half-frozen chicken. After many hasty prayers, a trip under the blow-dryer and a warm towel I settle in with her clinging to my chest with little clawed feet, still shivering, wheezing and sounding like death-warmed-over. I rocked and prayed over her until the shivering subsided, breathing warm breath under the towel with each rocking motion, trying to make the shaking stop, the red comb turn red again. It was awful. 2.5 hours later my friend Amanda came over after providing moral support on the phone and brought medicine and listened to the lungs of my now warmed up chicken. The prognosis was good, the medicine she took well and as you can see, happily at home in the house. Because apparently the bathtub just wasn’t good enough. I agree darling, you can sleep on my chair anytime. Just don’t tell my husband, okay? The next morning we have coffee in peace together. 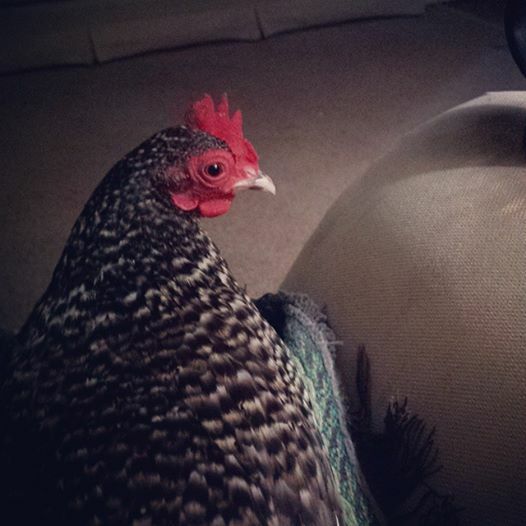 I think she would be an excellent house chicken. I get chickens. Kids, however, are still a mystery. I LOVE this story. Also love the name of your chicken. 🙂 My favorite chicken on our farm is Gluck-Gluck. NIV 1 Corinthians 13:11-When I was a child, I reasoned like a child. When I became a man/woman I put childish things behind me. I did crazy things as a little boy of which there isn’t room on this post to write but sometimes I still reason like a child; well, according to my wife! (;-(( Just kidding! Great lesson for Addie although Stripe Stripe probably thinks otherwise! Glad both are okay & mommy has recovered! Great reference to Corinthians! I never thought to make that connection, so it is. In that case I’ll not worry unless she is trying to make chickens swim when she is 25. Awww! That is awesome! Here’s to Stripe-Stripe’s everywhere! To be fair, how do you know that they don’t swim if you don’t try it out? When Addie is a world famous scientist (because of her enquiring mind) she may look back on this as her defining moment. Possibly Stripe-Stripe would rather forget the incident though. Children’s logic is priceless, even if it didn’t turn out for the best. You have to laugh!! Yes, they come up with some humdingers!